Capitalising on the African eCommerce consumer boom is not easy. The banking industry is not geared for eCommerce. Credit card penetration is non-existent. Local alternative payment methods are unique to each country. Understanding people is difficult. Internet and payment infrastructure continuity is poor. Local compliance and banking requirements are onerous. Setup and time-to-cash for foreigners in our experience can take years. 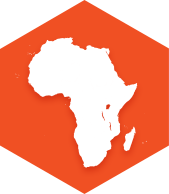 African Payment Solutions bridges the gap for multinational eCommerce merchants entering the African market. Go live as soon as 48 hours, through a single easy integration, reliably secure in the Amazon cloud, acquiring and repatriation of funds, everything taken care of. African Payment Solutions provides multinational eCommerce and mCommerce merchants with a simple, economical and effective way to get paid online by African consumers. Via a world class gateway infrastructure. Linked to local payment method aggregator accounts in key territories. With partners on the ground in-territory. And repatriation of funds to the merchant home country.